Training to climb another mountain, I decided to go for an endurance walk this morning. It will be exactly one week since I descended from Mt Kinabalu in Sabah, and my legs are still in recovery phase. 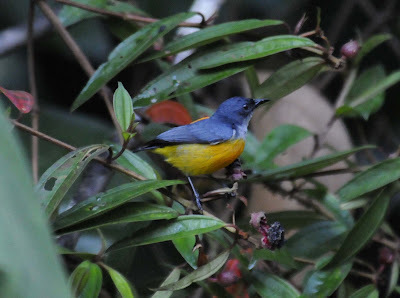 Today, my objective was very simple – taking birds. Previously, I was armed with a macro lens and it was not very useful for taking bird, this time I armed myself with Nikkor 80 – 400 mm lens, and this thing weight a ton after 3 hours of lugging it! 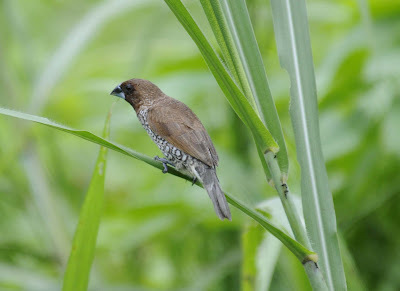 But the effort was worth it, as I was able to get close to some of the birds.Delightfully, I managed to captured the Flowerpecker and the Speckled Munia which have eluded me previously because I was not equipped correctly. 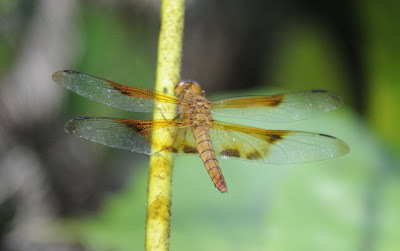 As the walk is near to a swampy area, there were alot of dragonflies. 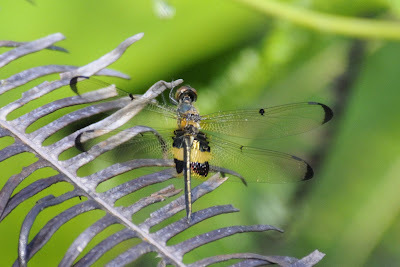 Some of the specimen were seen in my previous blog in Marina East. 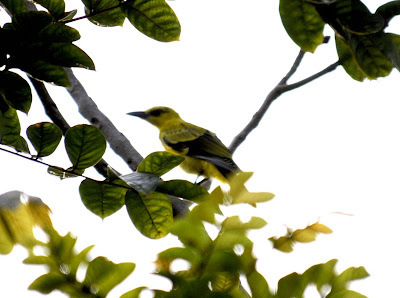 While walking, I saw a flock of Black naped Oriole (probably immature Oriolus chinensis) flying and landing on a tree nearby. Manage to took this shot before they flew deeper into the trees. 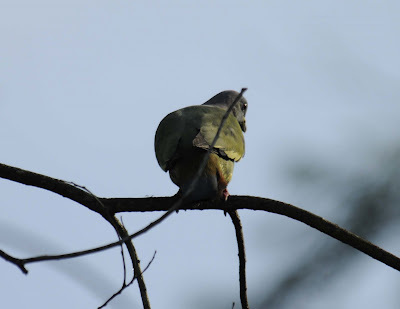 High up on the tree canopy, saw this female Pink-necked Green Pigeon (Treron vernans). Another closed up shot of this bird. 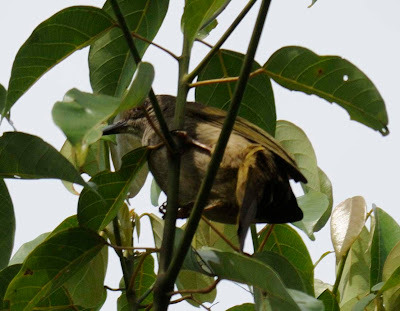 Nearby I saw about 3 of them having a bath on a big frond. 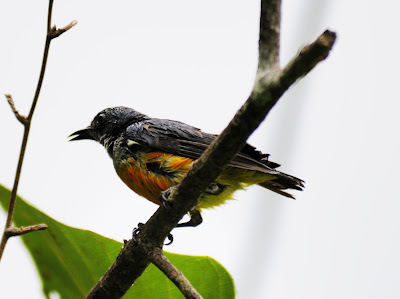 This is a immature male Flower Pecker. 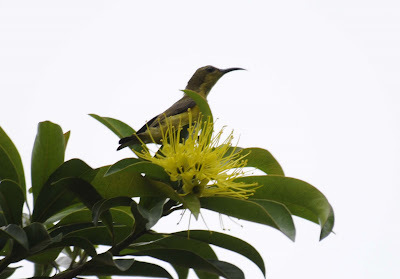 Reaching back my home, I saw this Olive backed Sunbird (Nectarinia jugularis) having its lunch with the nectar of this flower. 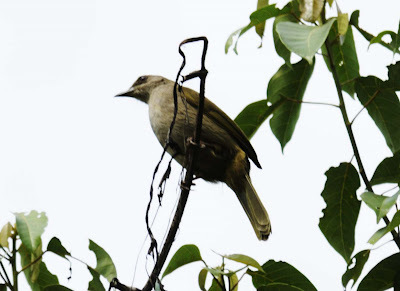 Managed to capture two different Bulbul.